Frama is located in central Copenhagen in the historic and protected neighbourhood of Nyboder. Former home of the St. Pauls Pharmacy established in the 1800s, the building still has it’s original woodwork and architectural elements. The synergy between the past and present elements of the space is a direct link to how Frama defines their main interest within the creative field as a dialogue between two opposite polesThe Frama Collection focuses on solid materials with natural finishes and simple geometry. The objects within the collection signal a return to basics, where the design appearance aims to be honest and pure. 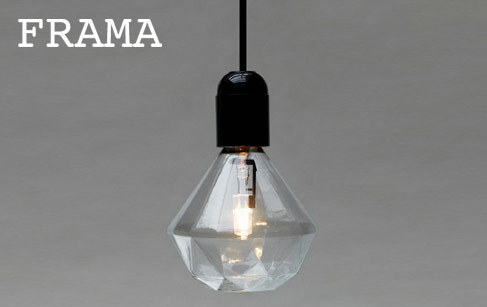 Working within the area of design archetypes, Frama represents a graphical and straight forward aesthetic approach to design. Frama Studio which can be characterised as “work in progress” serves as a platform of creative freedom, bearing the stamp of the company’s aesthetic principles. The Studio develops site-specific design solutions and curate a scenography in close collaboration with architects and users, from the starting idea until its final materialisation.